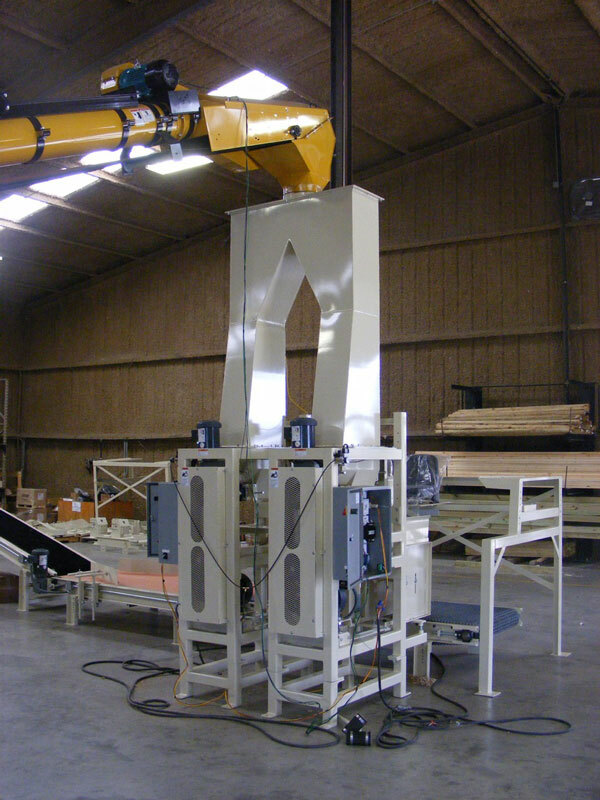 The bagging machine has a specially designed auger that is powered by a motor belt drive. It has a large inlet with an independently driven agitator that keeps light weight material flowing consistently into the screw auger. 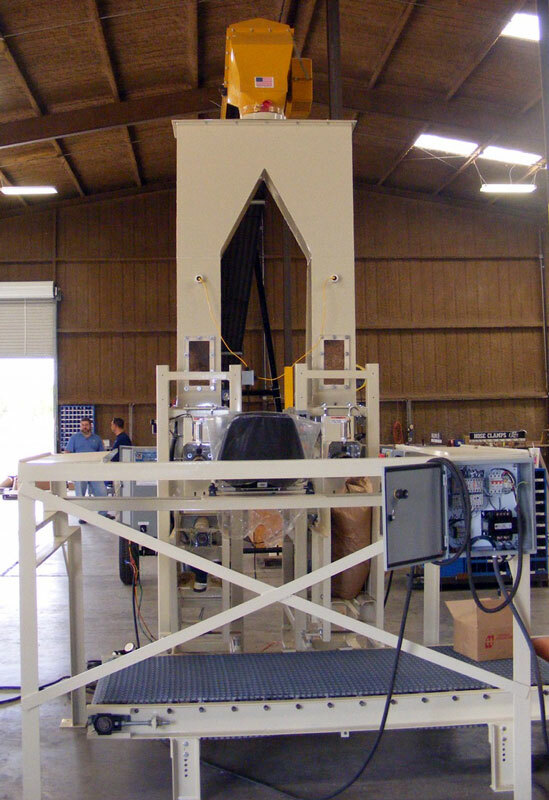 An integrated, low frequency, high amplitude vibrating bag settler densifies the material as it is being loaded into the bag. The machine automatically detects when the bag is full and the desired density has been achieved and stops filling. 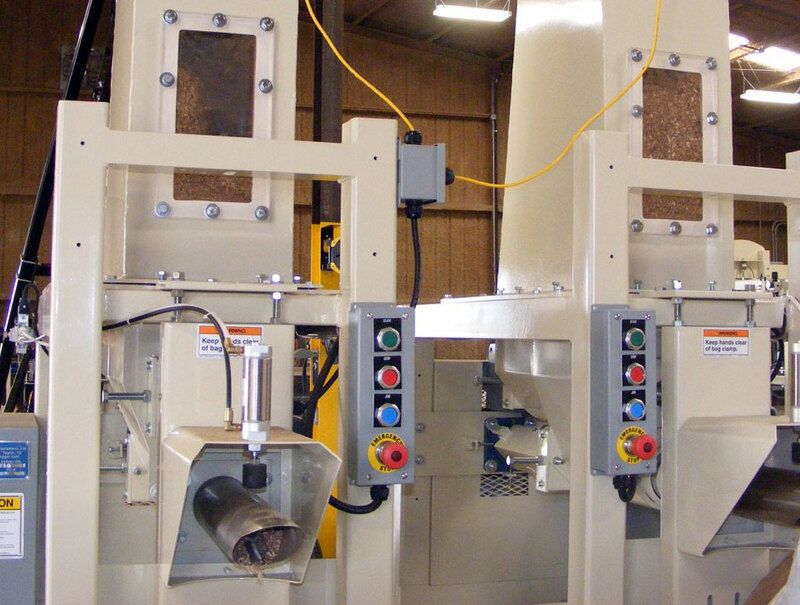 Achieve fill rates of 1-5 bags per minute per machine. Fill bags with 1.5 to 4 cubic feet capacities. The volumetric auger bagger has a totally enclosed product flow path from the supply hopper bin all the way into the bag. It is equipped standard with a built in dust collection manifold which can be ducted to your plant’s dust suppression system.